We need your help! Please click here to sign a petition on the importance of tourism. The state’s supplemental budget for 2015-17 is expected to come out this week and it is a critical time for tourism in our state. 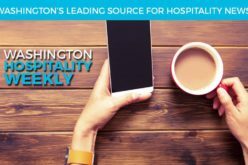 Together the Washington Tourism Alliance, Washington Restaurant Association and Washington Lodging Association are requesting your help! There are lots of other groups vying for the limited funds available so it is imperative that our voices be heard! It may be a short session, but we can advance tourism forward by working together. Thank you!